In the summer we adopted a ten year old cat named Trudy from an elderly relative who had to go into a home and then later passed away. Trudy had a bit of shock moving here (a new environment, other cats, new people), but it's been over six months now and she is really thriving here. 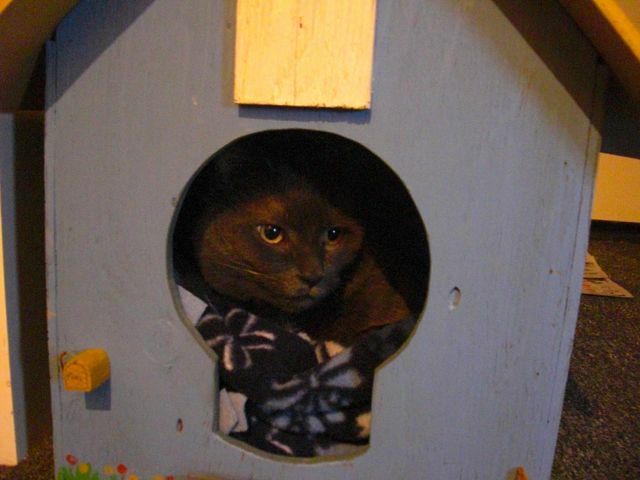 Trudy is an adorably grumpy cat who'd prefer it if she were the only cat who lived here. Funnily enough, our other two cats feel the same way about themselves! 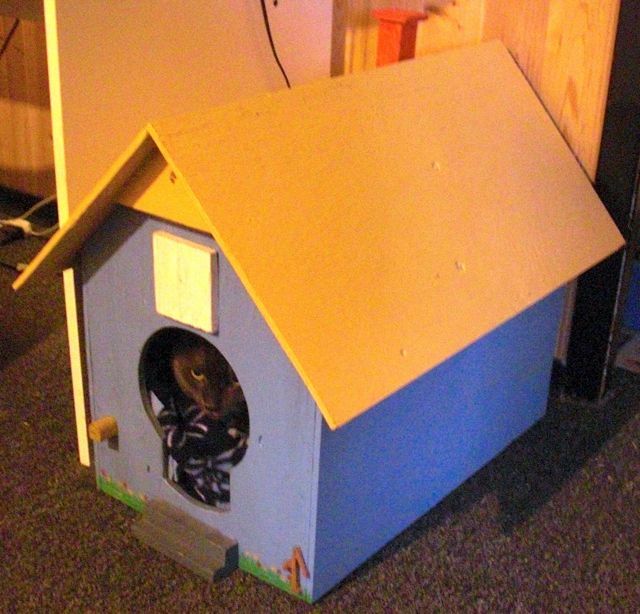 Some family were clearing out her old house in the fall and brought over her "cat house." 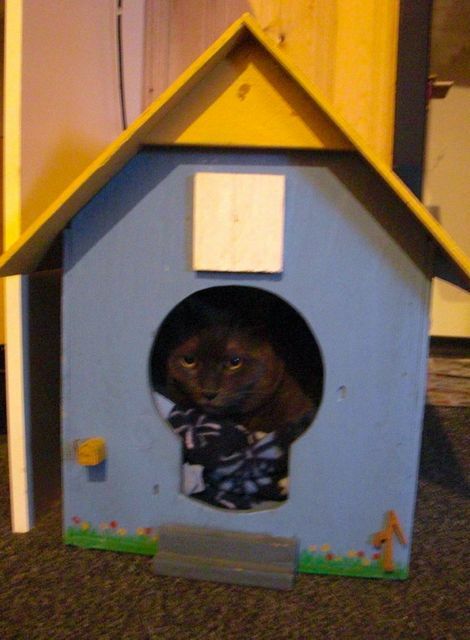 I have never known a cat who had a house before, and this is proof of how spoiled she was (and, to be fair, how spoiled she continues to be...). She doesn't sleep in this very often, but it is a great hiding spot for her when she wants it. Boy is she a cutie. Very good of you to take her in- in some ways, older cats can make for great companions in ways that a rambunctious kitten might drive one nuts. Thanks for saying so - we think she is cute too. She is grumpy, but that really is part of why she is adorable. This experience of adopting an older cat makes me want to do it again if I ever get another cat. I think older cats need love and we've really bonded over the past six months... she is a real sweetie. If it were big enough, our dogs would love a house like this. Animals are the best. This house has a little mailbox on it. How adorable is that?